Life is too short to settle for a basic form builder. With features to meet any business needs, 123FormBuilder is actually much more than a form builder. More than 1.5 million users worldwide are using our platform to build beautiful and powerful web forms. Including major companies, small businesses, marketers, universities, healthcare professionals, and non-profits. 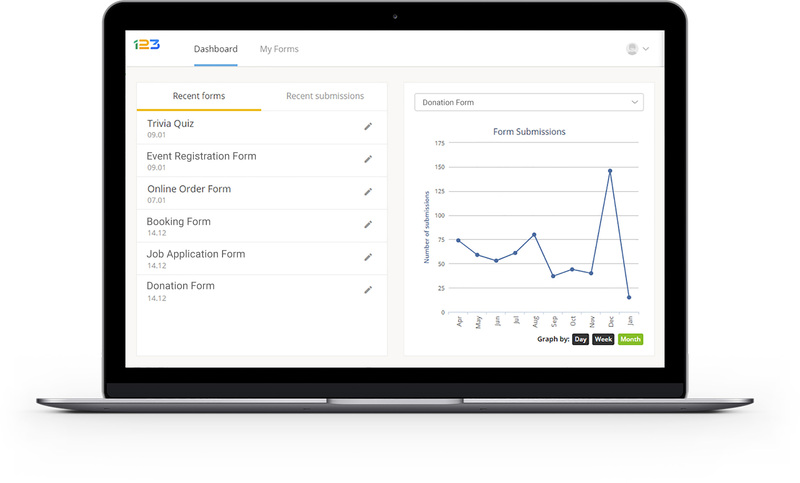 If you need more than just collect answers and look at the results, up your game with our vast number of form features which exceeds the limited powers of Google Forms. Plus, you don’t have to give up Google! Our integration option allows you to send form submissions to Google Sheets. Should you not choose to build a form from scratch - although it’s simple and fun - we’ve got you covered. We’re constantly stocking our template gallery so that you find there anything you might use. If by any chance we don’t cover a certain type of template, let us know and we’ll create it for you! Build beautiful, branded web forms with us! 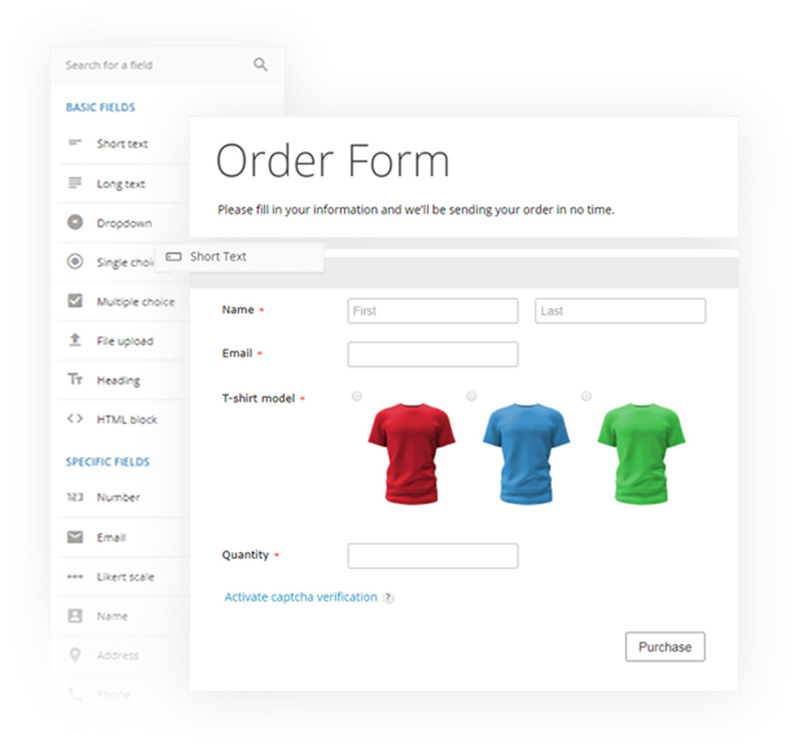 With just a few clicks you can completely customize the look and feel of your forms, from colors and fonts to buttons, and more. If you’re one for simpler things, choose from over 30 predefined themes. Or opt for CSS customization if you prefer to do things your way. BONUS: Design your own custom and friendly Thank You page, to give respondents peace of mind their data was received. Our offer? Field types to quench any thirst, including e-signatures, Likert scales, hidden fields, reset button, Terms of Service field, and social buttons. Revolutionary form layouts with advanced options, like multiple form fields in a row, resizable fields, and repeatable containers. If avant-garde is what you seek, turbocharge your forms with calculation formulas and advanced form branching & conditional logic. Receive online payments, deposits and donations with ease, with a multitude of payment gateways supported: PayPal (PayPal PayFlow, PayPal Pro), Authorize.net, Stripe, Braintree, WorldPay, PayFast, Sisow, Sage Pay, PayU, FreshBooks, and Square. Multiple payment gateways on a form. Set up forms in different languages to salute your international users and reach wider audiences. While constructing your form, you can apply translations to fields, instructions and system messages. Or import them if you’ve already set up a multi-language form from where you can import translations. We know you already love working with some of the web apps out there. Therefore you can manage your form data and day-to-day business data and tasks all in one place. For example, send form entries to CRMs like Salesforce or Zoho and convert them into leads or contacts. Store them on the cloud due to our Dropbox or Google Drive integrations. Update your email subscribers list with MailChimp. Of course, custom-made integrations are also possible, due to our API option. If you already have a form on paper or on screen, just take a picture or screenshot of it, save as JPEG or PDF, and import via our unprecedented Scan to Form tool. With handwriting and form recognition capabilities, it will help you if you’re not in the mood of creating a web form from scratch. Work efficiently even when offline, courtesy of our mobile app. Creating forms on the go is available for Android and iOS alike. With 123FormBuilder, you benefit from free internal technical support. Even for our Basic plan! So go ahead and send a line on email or chat, our consultants are available at all times. For detailed answers and tutorials, consult our FAQ and Knowledge Base sections.